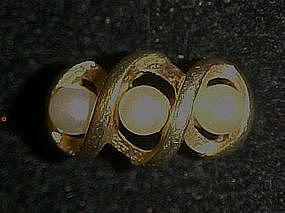 Avon's 1973 Triple Twist pearl ring is set in a twistd pattern gold tone setting with three pearls. Size 9. Nice condition.